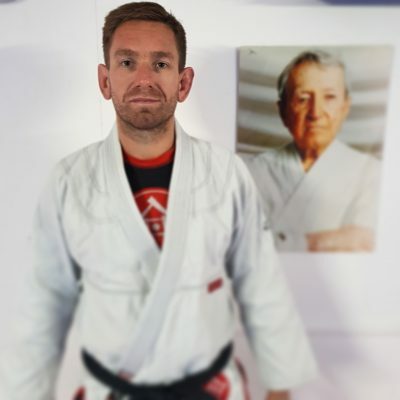 My name is David Webb, I am a black belt in Brazilian Jiu-Jitsu under Nicolas Gregoriades, a black belt in Judo with the British Judo Association and a second degree black belt in Shotokan Karate under the Japan Karate Association. I’ve have been training martial arts for over 25 years and since 2000 been the head coach of my own successful martial arts academy – the Tōukon Academy™ – the leading Brazilian Jiu-Jitsu academy across Bedfordshire and Cambridgeshire. Since I began coaching children back in 1998 I have received many enquiries from parents concerning their children and the suitable age for starting martial arts. It wasn’t until my wife and I had our third child that I realised, despite there being no conventional starting age, it was the accepted practice that children began Jiu-Jitsu no earlier than five years old, any younger than this and they would not grasp the subject material and or you had massive potential for injury. Not only is this notion completely incorrect but it left a massive demographic of children extremely frustrated and disappointed. I couldn’t think of one academy that provided a structured service or curriculum whereby pre-school aged children could be afforded the same level of service as primary school-aged children. Sure, there were other activities where pre-school children could thrive and many academies did allow younger siblings to play on the mats both before and after class and occasionally join in the games associated with the formal setting but in terms of a fun, dynamic and specific programme, all were missing out on the enormous benefits associated with training Jiu-Jitsu. 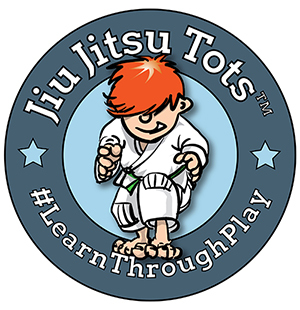 So in 2013, utilising my four-year old son and his friends as experimental subjects, I founded Jiu-Jitsu Tots™, the UK’s first Jiu-Jitsu play-based programme specifically designed for pre-school children and since then we have consistently used our dynamic model of Jiu-Jitsu to create happy, smart and confident children. It is our mission to create a structured, energetic and fun environment that provides children the opportunity to develop and enhance fundamental motor and social skills whilst focusing on Jiu-Jitsu specific games and activities all within a safe and secure coaching environment. Our program has been designed with an ‘every child matters’ philosophy and we ensure that our approach encourages physical, psychological and social development rarely found elsewhere. Each class encourages familiar skills that pre-school aged children require integrated with the more Jiu-Jitsu specific fun and games. Registered children are encouraged to engage with our material and as a result experience enhanced social and motor skills, our dedication to structured progression improves concentration and breeds an understanding of attainment and appreciation of hard work and subsequent accomplishment. All Jiu-Jitsu tots lead coaches are emergency first aid certified, fully-qualified Jiu-Jitsu coaches, possess an enhanced DBS disclosure and are trained to a very high standard to ensure your child enjoys their time at Jiu-Jitsu tots in a safe and organised environment. As an activity to mobilise your child, Jiu-Jitsu should be your #1 choice and Jiu-Jitsu tots is the perfect place start! ‘Why Jiu-Jitsu Tots™ is Perfect For Your Child’. 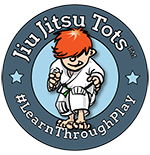 What will your child learn at Jiu-Jitsu Tots™? What if your child doesn’t want to join in the class? What if my child has learning difficulties? It is designed to explain how we function as an entity, the community surrounding what we do and the enormous benefit that our structured learning can provide for your child. Claim Your Free eBook & Enrol Your Tot Today. To ensure every child enrolled onto the Jiu-Jitsu Tots programme benefits from the same progression and rewards associated with learning regular Jiu-Jitsu we have devised a curriculum designed to facilitate learning across an entire 36-week academic year. Registrations run across a six-week period with structured opportunities for marked progression at the end of every twelve-weeks, assessment ensures each child has built upon a set of fundamental Jiu-Jitsu based skills including safe breakfalling, the use of a guard, standing in base, takedowns, hold downs (positions) and rudimentary escapes. Successful completion of each of our modules for progression is associated with the presentation of our ‘Outstanding Merit Certificate’. Jiu Jitsu is the highlight of my son’s week – he loves practicing with the other kids, and the fact he can now wrestle his parents to the ground! I have never seen him as focused and attentive as he is at Jiu Jitsu tots. My son was initially cautious about the activities yet quickly warmed to the group by the trainer, by the end of the session he was fully engaged and thoroughly enjoyed participating. His older brother has been attending Jiu-Jitsu sessions at his lower school and has developed a strong sense of discipline and confidence as a result. Keep up the great work! My son loves Jiu Jitsu Tots. It is the perfect combination of fun and learning. Dave is an excellent teacher. He builds confidence, maintains focus throughout the session and teaches valuable defensive moves – I would definitely recommend this class to anyone looking for a friendly local group.